Should I use a blockchain? Blockchain as a business model can be imagined in one of two ways. It can be thought of as being a new general purpose technology. This category of technologies includes electricity, transistors, computers, the internet, mobile phones, and so on. To this way of thinking a blockchain can be represented as the next generation of the internet. But if this is how people come to think of a blockchain we believe that many are going to be disappointed. Here the blockchain would be — what economists call — a factor augmenting technology. This is the standard economic story about how technology drives economic growth. People adopt a new technology because it reduces the productions costs associated with producing a given output. Technology ‘economises’ on scarce resources. We do more with less. This is the better-stronger-faster-cheaper model that we have come to associate with new technology. But there is a problem with this approach to blockchains. It is not immediately obvious that a blockchain is better-stronger-faster-cheaper for many general purpose uses. If managers are looking for improvements to their back room operations they will likely be underwhelmed by what a blockchain has to offer. There are many existing database software solutions that will very likely outperform a blockchain. Another way to think about blockchains is as an institutional technology. As The Economist magazine insightfully suggested some years ago the blockchain is a trust machine. We have argued that blockchains industrialise trust. This is where the gains to using blockchain technology originate — not that it economises on production costs, but that it economises on transactions costs — especially trust. When Satoshi Nakamoto solved the Byzantine general’s problem he also provided a solution to what economists call the coordination problem. Historically economists have recommended the price system, bureaucracy and managerial hierarchy as solutions to coordination problems. Now we also have the blockchain. That blockchains are fundamentally an institutional rather than a technological innovation is not mere semantics. This distinction matters because it focuses attention on what is actually driving the creative-destruction this innovation generates. What has changed is the technology of economic coordination and governance. In the real world there is a trade-off between the price system and bureaucracy and hierarchy. The price system provides clear incentives — prices and profits determine what should be produced, how it should be produced, and who will produce it. In bureaucracy and hierarchy, however, those high-powered incentives are missing. But large scale economic activity generates large transaction costs and a lack of trust means that prices and profits can’t weave their magic. This is where blockchains have a competitive advantage — the decentralised ledger technology provides a platform for coordination where transactions costs are dramatically reduced and trust industrialised. In an environment of complex economic activity that previously relied on bureaucracy and management we can now have prices and profits doing their magic. Those adopters who think blockchain is just another backroom business tool are missing the main game. The blockchain is going to be your business model. Blockchain technology is set to drive a new era of global public policy competition. In May 2018, the premier of Bermuda, David Burt, announced to the 8,500 attendees of the Consensus blockchain and cryptocurrency conference his country’s new Digital Asset Business Act and Initial Coin Offering Act. This legislation is intended to establish Bermuda as a premier destination for blockchain business by providing regulatory certainty around new business models. What we are seeing right now is an aggressive policy-driven grab to become a world leader in blockchain technology, and to capture some of the enormous value that this can unlock. Where once we saw global tax competition – as small nations attracted investment with business-friendly tax and regulation policy – now we are able to watch the green shoots of global blockchain competition. Blockchains are a unique technology, and that uniqueness presents some unusual public policy challenges. They offer us a new platform to organize economic activity: to make trades, to arrange production processes, to store information about assets and property ownership. Blockchains provide an economic infrastructure on which parallel technological developments, such as artificial intelligence and machine learning, the Internet of Things, 5G, and automation, can be built. We expect to see a great deal of economic activity that currently takes place in firms, in markets, even in government, to be displaced by distributed ledger technology. Blockchains will tie organizations together that have currently cooperated only through market exchange, or by the force of regulation. It will lead to demergers, as large firms realize that a decentralized ledger is an alternative to complex multidivisional corporate structures. But we have spent hundreds of years building complex taxation and regulatory systems around these institutions. The dominance of large firms has led governments to impose anti-trust laws. Principal-agent problems between owners and firm managers has led to the introduction of complex schemes of directors duties and manager controls. Securities law is built around the dominance of the public offering, taxation law around a sharp distinction between currency and other assets, and labor law around the employer-employee divide. As a new technology of governing economic activity, blockchain applications pull at the threads of all these traditional regulatory frameworks. Globally, there are still deep uncertainties over the most basic questions around cryptocurrencies, such as when they are taxed, and as what: currency or security? The initial coin offerings that have brought so much money into the industry exist in a legal gray area almost everywhere in the world. Blockchains are an incredibly young technology – just ten years old. Distributed autonomous organizations, decentralized labor markets, blockchain-secured intellectual property assets and blockchain-enhanced international trade will raise complex issues about fundamental regulatory structures, like labor, competition, and companies law – structures which have been reasonably fixed for the better part of a century. As more applications around economic problems, such as identity management, charities, healthcare, finance and global trade, are developed and introduced into the real world, they will face a spiraling number of regulatory and policy barriers that will need to be overcome. We face decades of regulatory uncertainty and demand for reform. This is where crypto-friendliness matters. Crypto-friendliness does not mean the government needs to subsidize, plan or control blockchain technology. The sector is awash with funds: a happy by-product of the enormous speculative investment in cryptocurrencies that has occurred over the last eighteen months. No government planner could predict how this technology is going to develop, and given its global nature, no regulator has a hope of controlling it. But blockchains do require governments to facilitate adoption. Because of the many ways blockchain use cases interact with existing regulatory frameworks they will need the help – or at least the acquiescence – of public policymakers to reform those frameworks to suit. The biggest regulatory risk in the blockchain space is uncertainty. Right now, those uncertainties are about how crypto-assets will be taxed, how and when they will be treated as securities, and the levels of disclosure around anti-money laundering and know-your-customer rules. Governments that want to attract blockchain firms to their jurisdictions need to be resolving those uncertainties as soon as possible. A crypto-friendly government is one which is not only focused on resolving current uncertainties but is able to credibly commit to facilitating the sorts of regulatory reforms needed in the future. Technological change is unpredictable. We do not know what blockchain applications are going to be the most successful and disruptive. Consumer demand is unpredictable. Governments should ensure, as far as possible, that regulation is both predictable and adaptive, that shape-changes in regulatory regimes do not occur, and that yet there is adequate space for entrepreneurial experimentation. Which governments are likely to be the most crypto-friendly? At the first instance, the governments which have already demonstrated themselves as business-friendly environments are obvious candidates for blockchain friendliness. The ingredients of long-run economic growth – liberal, responsive institutions, the rule of law, limited government, regulatory modesty, and low taxes – are as important for blockchain firms as they are for other industries. The Isle of Man, for instance, has long been an established global leader in gambling and e-gaming, thanks to a deliberate effort on its part to establish welcoming and certain public policy. The Isle of Man is now a thriving site of blockchain innovation. As this suggests, blockchain technology presents a historically significant opportunity for the Cayman Islands, and any other jurisdiction which has a reputation for business-friendly policy. The last few decades of global tax competition have shown that smart policy can shape the geography of global capitalism just as strongly as labor or natural resources. Blockchains are a decentralized network but their developers, entrepreneurs and users exist in a real world, subject to real laws. Crypto-havens can capture that business. With Alastair Berg. Originally a Medium post. The EOS mainnet launched earlier this year. In EOS we are witnessing the emergence of what Ludwig von Mises and Friedrich Hayek would recognise as constitutional catallaxy — open source constitutional orders in which participants are continually developing the rules of the game even after the game has started. EOS operates under a Delegated Proof of Stake (DPoS) consensus mechanism, with 21 Block Producers (BPs) overseeing the validation of transactions. As an open source constitutional order, the jurisdiction of these BPs has been guided by de jure constitutional arrangements. In the pre-launch phase of EOS, documentation was drafted and debated outlining an EOS Constitution, while users were to include a hash of that document in their transactions to acknowledge their understanding and acceptance of it. However, open source constitutional orders like EOS also have stakeholders who may exercise de facto authority in the absence of formal procedural rules or technical constraints. The launch of the EOS mainnet provides examples of how de jure and de facto constitutional arrangements can diverge. While no token holder vote has taken place on the EOS Constitution (via their proxies — BPs), de factosovereignty was quickly exercised through the banning of seven (and later many more) accounts following a conference call between BP representatives and a body known as the EOSIO Core Arbitration Forum (ECAF). As a result of this call, BPs chose to exercise de facto sovereignty and freeze these accounts. Only retroactively did this dispute resolution body ECAF issue a statement which indicated their support of the actions of BPs. Similarly, 6 weeks after launch, an announcement was made to fundamentally change the way in which economic value is distributed across the EOS protocol. On July 28 Brendan Blumer, CEO of block.one (the organisation which developed the EOS mainnet), announced changes in the way EOS inflation is to be allocated. This will see new EOS tokens being distributed to users who stake tokens and vote for BPs, in addition to the rewards BPs receive for overseeing the validation of transactions. These actions have drawn support as well as opposition. Some have called it a successful demonstration of off-chain governance, while some see it as jurisdictional overreach by emergent institutions. In previous articles, we have argued that blockchains are a lot like countries. These (usually) open source protocols are constitutional orders which define how individuals interact and transact — complete with their own currencies, property, laws, corporations and security systems. Blockchains, along with nation states, attempt to coordinate action in a world of incomplete information and opportunism — while computer scientists and economists have different vocabularies, Byzantine fault tolerance and robust political economy are the same thing. Systems of governance for blockchain protocols are not new — the genius of Satoshi Nakamoto was to allow the Bitcoin network to reach consensus when two equally valid blocks are presented by miners, in effect solving the double-spend problem. Yet now we can observe the emergence of — and have debate over — other governance arrangements in blockchain protocols. (Who writes and has permission to change the law (code), who enforces the rules, the role and method of voting, the role of developers and token holders, on-chain and off-chain governance etc). What’s interesting is that these are analogous to the debates that individuals had during the emergence of nations. Consider the United States. With little to guide them but the musings of philosophers and radical thinkers, individuals grappled with a myriad of competing principles and interests as they set the ground rules for how their new constitutional order was to be governed. Previously, constitutional orders emerged from revolution, civil war, conquest and other usually violent means — much like the constitutional order that emerged in the 13 American colonies. In the real world, the emergence of institutions — as well as the jurisdiction which they exercise power over — can take many years after their formal establishment. The Supreme Court of the Unites States has the now familiar power of judicial review, evaluating the constitutionality of legislation and executive action. However it was only 16 years after it was established that the Supreme Court granted itself the power to declare acts of Congress unconstitutional as a result of Marbury v. Madison. Similarly, the role of the President has significantly expanded over time, with the term the Imperial Presidencyaccounting for the increased powers gradually vested in the US executive since the administration of George Washington. The US Constitution has similarly been amended, challenged and otherwise interpreted in a myriad of different ways over its lifetime, demonstrating a real-world divergence and interaction of de jure and de facto constitutional arrangements. Likewise, blockchains are constitutional orders governed by social norms as well as technical constraints. The de jure constitutional order which governs how BPs represent EOS token holders, and the ways in which disputes are resolved, are ultimately subject to the exercise of authority by those who have the means. What we are seeing is a process of constitutional entrepreneurism — constitutional catallaxy — in the establishment of new economies. The institutions that coordinate activity in these economies change and adapt to both the technological limitations built into the protocols, as well as the mutual expectations and power of interacting stakeholders. Will governments adopt their own cryptocurrencies? No. Will cryptocurrencies affect government currencies? Yes. In fact, cryptocurrencies will make fiat currency better for its users — for citizens, for businesses, for markets. Here’s why. Why do we have fiat currency? Governments provide fiat currencies to finance discretionary spending (through inflation), control the macroeconomy through monetary policy, and avoid the exchange rate risk they would have to bear if everybody paid taxes in different currencies. As George Selgin, Larry White and others have shown, many historical societies had systems of private money — free banking — where the institution of money was provided by the market. But for the most part, private monies have been displaced by fiat currencies, and live on as a historical curiosity. We can explain this with an ‘institutional possibility frontier’; a framework developed first by Harvard economist Andrei Shleifer and his various co-authors. 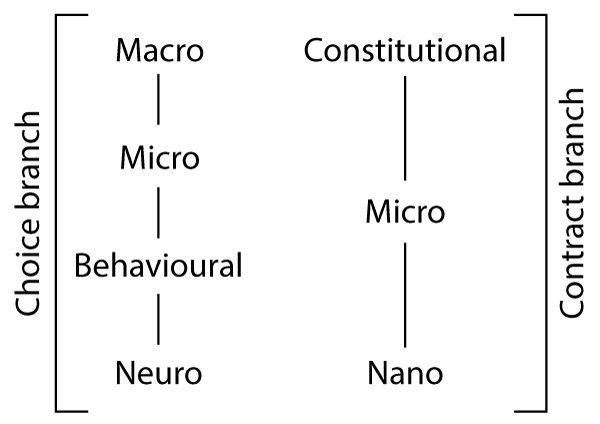 Shleifer and colleagues array social institutions according to how they trade-off the risks of disorder (that is, private fraud and theft) against the risk of dictatorship (that is, government expropriation, oppression, etc.) along the frontier. 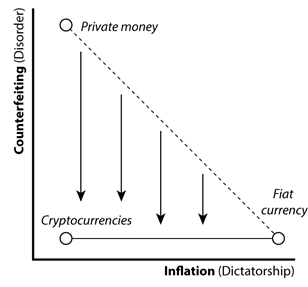 As the graph shows, for money these risks are counterfeiting (disorder) and unexpected inflation (dictatorship). The free banking era taught us that private currencies are vulnerable to counterfeiting, but due to competitive market pressure, minimise the risk of inflation. By contrast, fiat currencies are less susceptible to counterfeiting. Governments are a trusted third party that aggressively prosecutes currency fraud. The tradeoff though is that governments get the power of inflating the currency. The fact that fiat currencies seem to be widely preferred in the world isn’t only because of fiat currency laws. It’s that citizens seem to be relatively happy with this tradeoff. They would prefer to take the risk of inflation over the risk of counterfeiting. One reason why this might be the case is because they can both diversify and hedge against the likelihood of inflation by holding assets such as gold, or foreign currency. The dictatorship costs of fiat currency are apparently not as high as ‘hard money’ theorists imagine. Cryptocurrencies significantly change this dynamic. Cryptocurrencies are a form of private money that substantially, if not entirely, eliminate the risk of counterfeiting. Blockchains underpin cryptocurrency tokens as a secure, decentralised digital asset. They’re not just an asset to diversify away from inflationary fiat currency, or a hedge to protect against unwanted dictatorship. Cryptocurrencies are a (near — and increasing) substitute for fiat currency. This means that the disorder costs of private money drop dramatically. In fact, the counterfeiting risk for mature cryptocurrencies like Bitcoin is currently less than fiat currency. Fiat currency can still be counterfeited. A stable and secure blockchain eliminates the risk of counterfeiting entirely. So why have fiat at all? Here we see the rational crypto-expectations revolution. Our question is what does a monetary and payments system look like when we have cryptocurrencies competing against fiat currencies? And our argument is that it fiat currencies will survive — even thrive! — but the threat of cryptocurrency adoption will make central bankers much, much more responsible and vigilant against inflation. Recall that governments like fiat currency not only because of the power it gives them over the economy but because they prefer taxes to be remitted in a single denomination. This is a transactions cost story of fiat currency — it makes interactions between citizens and the government easier if it is done with a trusted government money. In the rational expectations model of economic behaviour, we map our expectations about the future state of the world from a rational assessment of past and current trends. Cryptocurrencies will reduce government power over the economy through competitive pressure. To counter this, central bankers and politicians will rail against cryptocurrency. They will love the technology, but hate the cryptocurrency. Those business models and practices that rely on modest inflation will find themselves struggling. The competitive threat that cryptocurrency imposes on government and rent-seekers will benefit everyone else. It turns out that Bitcoin maximalists are wrong. Bitcoin won’t take over the world. But we need Bitcoin maximalists to keep on maximalising. The stability of the global macroeconomy may come to rely on the credible threat of a counterfeit-proof private money being rapidly and near-costlessly substituting for fiat money under conditions of high inflation. Most discussion about the role of cryptocurrency in the monetary ecology has focused on how cryptocurrencies will interact with fiat. The Holy Grail is to create a cryptocurrency that is pegged to fiat — a so-called stable-coin (such as Tether or MakerDAO). But our argument is that the evolution of the global monetary system will actually run the other way: the existence of hard (near zero inflation, near zero counterfeit) cryptocurrency will tether any viable fiat currency to its hardness. No viable fiat currency will be able to depart from the cryptocurrency hardness tether without experiencing degradation. This in effect tethers fiscal policy — and the ability of politicians to engage in deficit spending in the expectation of monetising that debt through an inflation tax — to the hardness of cryptocurrency. The existence of a viable cryptocurrency exit tethers monetary and fiscal policy to its algorithmic discipline. This may be the most profound macroeconomic effect of cryptocurrency, and it will be almost entirely invisible. Cryptocurrency is to discretionary public spending what tax havens are to national corporate tax rates. Blockchain technology is shaping up as one of the most disruptive new technologies of the 21st century, facilitating an entirely new decentralised architecture of economic organization. While still experimental, it is disrupting industry after industry, beginning with money, banking and payments, and now moving through finance, logistics, health, and across the digital economy. These waves of innovation are being driven by both new entrepreneurial startups as well as by industry dominant firms reimagining and rebuilding their business models and services to use blockchain technology. Trade platforms and supply chains are shaping up as the major use case for blockchain technology, and we explain here how this may lead to a second phase of globalisation. Breakthroughs in the technology of trade can have far-reaching consequences. Sailing ships and steam ships, refrigeration and aircraft were all watersheds in the making of the modern world, but two technologies of trade delivered us the modern era of globalization: these are (1) the shipping container, and (2) the WTO (formerly known as the GATT). The invention of the shipping container in 1956 led to a revolution in international trade, birthing a new phase of globalisation. Blockchains, invented in 2009, promise a similar revolution. Blockchains offer a fundamental architectural change in the way firms and governments manage international trade, with enormous efficiency and productivity gains. But, just as the shipping container required significant investment to bear fruit—and came up against the interests of the unions, regulators and ports—blockchain-enabled trade will require substantial upfront investment in new systems and will inevitably challenge existing interests. In the 1950s the shipping container was the solution to the problem of the high expense in money, time, and security to load cargo in and out of ships. Handling costs were high, operations were slow, and theft was rife. Today the constraints on trade consist of the ever-increasing complexity of the data, records, payments and regulatory permissions that accompany goods as they travel across the world. Every good moving along a supply chain is accompanied by a data trail, often still as paperwork, to track bills of lading, invoices of receipt and payment, origin, ownership and provenance, as well as compliance with vast schedules of trade prohibitions and environmental regulation, taxes and duties. The shipping container is a physical coordination technology, while the WTO is an institutional coordination technology. At the Blockchain Innovation Hub we believe that blockchain technology – as tradetech – is shaping up as the third great technology of trade. Blockchain technology can solve a major and growing problem with the global trading order – namely the problem of information. Every time a good or service moves, information moves with it. The quantity of information associated with each product continues to grow, and the costs of dealing with this information, from compliance, auditing, verification – trust, in a word – is becoming a greater and greater share of the costs of the global trading system. This information includes provenance and inputs – the information on a label. It includes trade-finance, bills of lading, shipping and handling information, security clearance – the commercial and administrative information. It includes the documentation of where it’s been and where it’s going, and who has handled it and who hasn’t. And it includes all the information that each country requires in relation to customs and duties, biosecurity, labour and environmental regulations, compliance with various treaties – a vast rigmarole of auditing and compliance, each of which is necessary, desirable and costly. With each day, the information burden increases, not decreases. As the information cost of trade increases, it is not simply enough to digitize everything, because the real problem is that we need to be able to trust the information that is there. Globalisation 2.0 will be built on tradetech, and the crucial infrastructural component of tradetech is blockchain. Blockchain technology, which is a distributed, append-only, peer-to-peer, trustless secure ledger, is almost custom-made for trade-tech. It provides an infrastructural platform upon which to build a new information architecture for globally tradable goods – and to do so in a way that is fully digital, tamper-proof, low-cost, end-to-end secure, verifiable, transparent, scalable and computable. What cryptocurrencies did for money tradetech will do for globalization. Tradetech will integrate the benefits of fintech into trade networks. Crypto-based models of payments, trade finance, insurance and other risk management tools will be automated. Tradetech will integrate the benefits of regtech into trade networks. Verification and compliance with local regulations will be automated. Tradetech will power-up logistics technologies with blockchain affordances such as smart contracts, decentralized autonomous organisations (DAOs), and the full technology stack that includes AI integration. So we think of blockchain as a next-generation infrastructural technology for the global movement of goods and services. Service exports have the same constraints with respect to compliance with certification, credential verification, and quality standards assurance. These same problems apply generally to the movement of people too. We are still yet to weave together a seamless global system of identity documents, education and trade certification and permissions, and taxation and other public liabilities. Tradetech facilitated supply chains could to bring significant advantages to Australia, and her trading partners. This is win-win because there are both consumers and producers on each side. For Australian exporters, there are at least two obvious advances. Tradetech facilitated Australian Agriculture will significantly boost the quality of provenance claims as to origin and quality of product. When this transparent verifiable information passes at much lower cost to final consumers, more of that assurance value passes back to suppliers, boosting primary producer income. We are starting to see this already with start-ups in the primary export industry, for instance with Beef-ledger, Agridigital and Grainchain. We will also likely see the benefits of similar assurance in advanced manufacturing, such as in aerospace, medical devices, pharma and other high value bespoke manufacturing where quality is paramount and certification is costly. Or in other areas that rely heavily on intellectual property, such as creative industries. Blockchain-based next-generation trade infrastructure opens the prospect of a next generation of crypto free trade zones. These may overlay existing trade zones – within bilateral or multi-lateral zones – with a standard protocol for information handling. This would lower the transactions costs of trade, which economic theory predicts would increase the quantity of trade, and therefore value creation. But blockchain trade areas could also build on private supply chains and infrastructure, as with consortia such as the IBM-Maersk-Walmart alliance, or with the recently announced adoption by FedEx of blockchain technology. This is the difference between say email (an open standard) and Facebook (a proprietary model). The strength of the closed network model is that it incentivizes investment. But it creates power, and invariably requires regulation to constrain that power. And regulation in turn stifles innovation. We need to start thinking about how we want free trade to evolve in the blockchain era. Global open standards should be our ambition, because this brings the maximum prospect for growth and innovation. But open standard protocols are challenging to get started, because it can stumble on a coordination problem at the outset. This is why in order to build the next generation of globalization on blockchain infrastructure we will need to solve the open standards coordination problem. The Australian Broadcasting Corporation is a $1.04 billion piece of public policy and we treat it as exactly that: a government intervention into the market for news, entertainment and communications. Policy interventions are financially costly. Policy interventions are also costly in a non-monetary sense. They can have unintended or counterproductive consequences. They can crowd out non-government activity, stifle entrepreneurship or technological innovation, distort the marketplace, systemically favour particular political interests and ideologies, and create fiefdoms of unaccountable bureaucrats. The ABC was established in a moment of history significantly unlike our own, facing a cultural and political environment greatly different to our own, with technological and economic challenges completely opposite to those we now face. Over the course of eight decades the ABC has embedded itself in the Australian political system and public consciousness. But the original rationales for the ABC have long since expired. 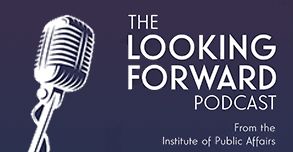 Technology has made the concerns of Australian policy makers in the 1930s – or even the 1990s, when the ABC was last subjected to a major review – redundant or anachronistic. Economic justifications for a state-owned media broadcaster simply do not fit the modern media landscape. The arguments for public broadcasting in the twenty-first century are simply not compelling. It is certainly the case that the ABC has bound within it an enormous amount of cultural capital as a consequence of its eighty years of pre-eminence in the Australian media industry. But that should not be confused with either a claim that a publicly-funded broadcaster was necessary to build that cultural capital or that Australian culture would suffer in a world where the ABC had been reformed or privatised. The ABC is an Australian ‘icon’ in the same sense that the Commonwealth Bank was an icon before its privatisation, and in the same anachronistic sense that Qantas, the ‘national carrier’, is imagined to be an essential part of the Australian psyche. We can celebrate the achievements of the ABC, its cultural significance, and its role in Australian history. But that should not prevent us from looking sceptically – as we should with all costly government interventions into the economy and society – at whether the ABC remains good public policy. Does it have a good reason to exist, now? That question invites us to speculate as to the rationale for the ABC. The ABC itself denies that it is a market failure broadcaster, while the notion of it being independent is difficult to pin down. Independent of whom? It is publicly funded and its management are required to appear before parliament and answer questions posed by politicians. True, the ABC is independent of the demands of commercial reality, but it is not independent of its political paymaster. Of course that undermines the argument that the ABC is a bulwark of democracy. A free press may well be a necessary condition of democracy but that does not necessarily imply that the government should subsidise the press. To the contrary, many non-democratic nations have maintained very high levels of government ownership and subsidy in the media. A further argument undermining the ABC’s claim relates to the large and obvious political bias in its reporting and news coverage. A 2013 survey revealed that ABC journalists are almost five times more likely to be Greens voters than the average voter and twice more likely to vote Greens than the average journalist. Other arguments for the ABC include quality programming, Australian content, and rural subsidy. What constitutes ‘quality’, however, is a value judgement. Australian content and rural subsidy can be provided for much less than $1 billion per annum. That is the challenge; the ABC is a massive government program with no clear objectives and no clear accountability. Few Australians would realise that the ABC charter does not include the word ‘fair’ nor does it include the word ‘balanced’. The charter is at best only a loose guide to what the ABC does. Nor is it any constraint on ABC operations. While the charter is spelled out in legislation, section 6(4) explicitly states that ‘Nothing in this section shall be taken to impose on the Corporation a duty that is enforceable by proceedings in a court.’ Additionally, there is nothing in the charter that could be described as an enforcement mechanism, nor any penalties detailed for potential breaches. The charter is in law – insofar as it exists on the statute books – but it is not law that the ABC has to abide by. What should be done about the ABC? It is certainly the case that doing nothing and muddling through is very much underrated as a government policy. Yet lower-cost alternative public policies are available and clear savings can be made. One possibility would be to refine the charter. In the first instance, the ABC could be redesignated to be a market-failure broadcaster. Alternatively, it could be required to be self-funding, i.e. commercialised. Here the ABC could be required to finance its activities through advertising revenue and then pay dividends to the government. A further option would be to reform the governance of the ABC. Then there is privatisation. The ABC could be sold off to a single bidder or consortium. Or it could be listed on the stock exchange. Our preferred option would be for shares in the ABC to be given away, either to all Australians or to existing and previous staff. The staff are the best people to realise the value of the ABC – and they would pay for their shares over time through the capital gains tax as they sold their shares. In this sense the privatisation of the ABC would proceed much like higher education is currently funded. ABC employees would receive their shares at zero-price and only pay for them when they disposed of the shares and only then if the shares had increased in value. The proceeds of the privatisation would be realised over time and would not constitute a ‘sugar-hit’ to the budget. Nor can the privatisation be characterised as a stunt to balance the Budget in the short term. Rather, it is a program to establish a newly-private ABC on a firm footing, vesting it with a cohort of new owners who have the most interest in making it a commercial success. With Sinclair Davidson, Jason Potts and Ellie Rennie. Originally a Medium post. With the anniversary of the Bitcoin whitepaper looming on October 31, it is remarkable how far and fast this industry has come since it was anonymously launched on a crypto bulletin board just ten years ago. Ethereum, which gave us smart contracts and ICOs, was only started in 2015. The Consensus conference, only in its fourth year, packed over 8500 attendees into the New York midtown Hilton with representatives from most major corporations and industries being present. Blockchain is quickly becoming mainstream. The industry is entering the phase of industrial competition — and this is happening on a global scale. Consensus is the centerpiece of Blockchain Week in New York City, and the main global industry conference for cryptocurrency and blockchain technology. It is also increasingly a platform for major industry announcements. Two clusters of announcements in particular are propitious markers of where we’re up to in the development of the industry. In politics, David Burt, Premier and Finance Minister of Bermuda, announced his country’s Parliament had tabled the Digital Asset Business Act, staking an ambition and claim to be the world’s leading crypto-regulator. On Tuesday, Eva Kaili, Chair of European Parliament Science and Technology Options Assessment, announced the Blockchain Resolution had passed the European Parliament. In enterprise, Fred Smith, CEO of FedEx called blockchain the next big disruption in supply chains and logistics with the potential to completely revolutionise the global trade system. Circle, a Goldman Sachs backed crypto finance company, announced it will be issuing a fiat stablecoin, which is to say a crypto-version of the $USD. And buried in the announcement by Kaleido — a blockchain business cloud — of a partnership with UnionBank i2i (a Philippines Bank specializing in rural banking), was a joint partnership with Amazon Web Services. These announcements indicate that we have entered a new industry phase, moving well beyond the first entrepreneurial phase of highly speculative market-making start-ups operating entirely in a disruptive mode, and are now at the onset of a second phase of industrial dynamics, that of industrial competition. While still incredibly young, because of the speed and scale at which it has developed, the blockchain industry has now entered the phase of market competition. The Bermuda announcement is a competitive response to the innovative regulatory frameworks built by jurisdictions such as Singapore, Zug (CryptoValley), Estonia, Gibraltar, Isle of Man, and other crypto-havens. The Bermuda announcement clearly signals that we’re now in the phase of global regulatory competition, and that crypto-regulation and legislation in countries such as the US and Australia will be held by the competitive pressure of exit-options from departing too far from the competitive equilibrium. The announcement by Kaleido is in itself less significant than that of the AWS partnership, which signals the new shape of competition in cloud computing. Technology companies such as Microsoft, Oracle and IBM are competitively positioning themselves to provide foundational infrastructural services and standards in this new space, and the Fred Smith’s pronouncement signals that the logistics industry is about to be competitively disrupted again. The difference between the first and second phase of industrial dynamics is that in the first phase entrepreneurs are inventing new technology, disrupting existing markets, and seeking to create new business models. It’s a process of de-coordination of an existing economic order. But this is not generally well described as a competitive market process, usually because markets themselves are still forming, and uncertainty is very high. Cooperation in networks and innovation commons is the predominant institutional form. Competition emerges when uncertainty begins to clear as the outlines of how the technology works and what it will be used for, which markets are affected and how, and which firms will be involved, and a speculative game turns into a strategic game because it becomes clear who the players are and what they are doing. Investment is not just for R&D, for discovery of new technology; but is strategic investment to compete for market share, and ideally for market dominance. This is where we are up to now: the phase of global market competition.And further evidence of this is that the main concern of industry participants is global regulatory uncertainty, which is to say the rules of the competitive game. Now to be clear, crypto and blockchain is still an experimental technology. But we’re now past the early innovation phase — the start-up phase — and have investment is now a C-suite concern, and a parliamentary agenda item. What does competition mean for Web 3.0? So blockchain is being absorbed into the economy and global political system. But what does this mean for the future of the internet? The other big question arising from the Consensus 2018 announcements was the extent to which the involvement of incumbent internet platforms, such as Microsoft and AWS, will affect the distributed nature of the emergent blockchain ecosystem. Joseph Lubin, co-founder of Ethereum, argued that the technological foundations for a distributed future have been built and that the essential task now is to achieve scalability. Data storage is an important aspect of scalability that will be essential to the success of decentralised applications (dapps), and more radical solutions (such as the InterPlanetary File System, IPFS) are apparently not ready for widespread adoption. The involvement of AWS in Kaleido enables enterprise participation in the Ethereum blockchain whilst ensuring that the data (including oracles) are housed securely. While numerous self-sovereign identity dapps are available (as displayed through Civic’s identity-checking beer vending machine at the conference), common standards are necessary for those providing verified information. Microsoft’s partnership with Blockstack and Brigham Young University is a development towards these standards that is potentially significant for this new approach to online privacy. Neither development necessarily threatens Web 3.0, but this is now being driven by a competitive logic of market forces.